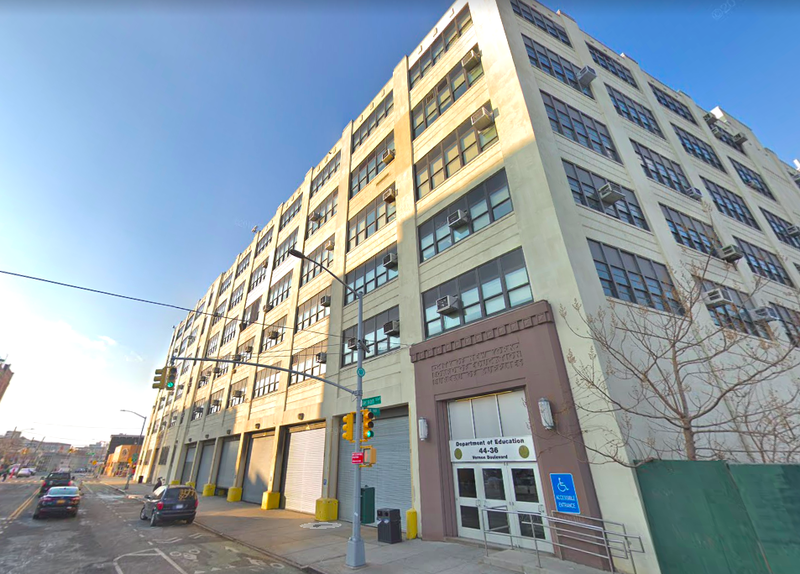 Long Island City advocates are requesting ownership of a city-owned building that sits on land soon to be developed by Amazon for its second headquarters, as the Wall Street Journal first reported. The sprawling, block-long structure at 44-36 Vernon Boulevard currently houses offices related to the city’s Department of Education along with over 1,000 staff members. For the past three years, local residents have asked for the building to be turned into a community facility. With all eyes on Long Island City due to Amazon’s impending move there, advocates believe this is their last chance for the community to take over the property. The large, white building near the waterfront currently hosts the city’s Office of Pupil Transportation and other public school offices. According to the Daily News, the city workers have already been notified of their eviction. Local residents believe a community center with schools, art facilities, and job training would work perfectly for the area, which sits just south of the Queensbridge Houses, the largest public housing development in the nation. But Council Member Jimmy Van Bramer, who represents the neighborhood and has voiced his opposition against Amazon’s move to Queens, told the WSJ obtaining the building will be harder because of the enormous support the plan is getting from city officials, mainly Mayor Bill de Blasio and Gov. Andrew Cuomo. Amazon announced this month plans to split its second headquarters, with one location in Queens and the other in Arlington, Virginia. Amazon, set to receive over $1.7 billion in incentives from New York State and has the potential for another $1.3 billion “as-of-right” benefits from New York City, promises to create 25,000 jobs by 2029. 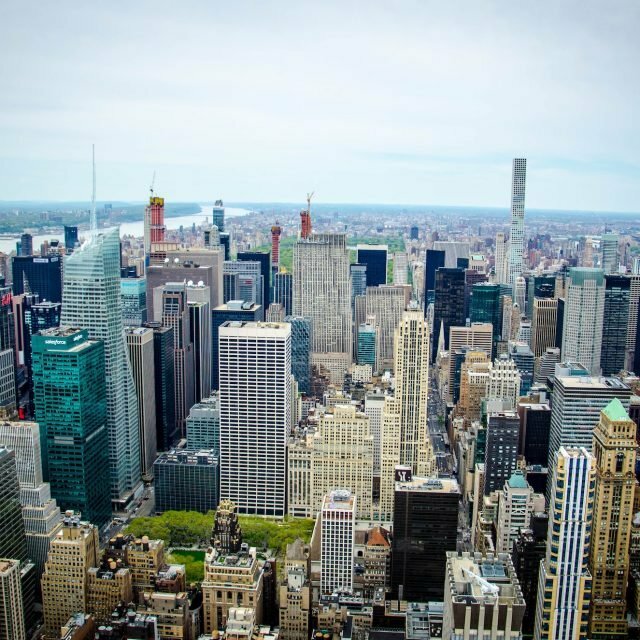 While the potential for thousands of new jobs has some public officials celebrating the tech giant’s decision to move to Long Island City, many leaders and advocates, who fear increased rents and overcrowded public transit, are pushing back. Plus, a plan to create 1,500 units of affordable housing in the Anable Basin area will be scrapped to make way for the new headquarters. Multiple protests and action plans have been planned, with the first kicking off on Black Friday, Gothamist reported. A demonstration was held in Midtown on Friday near Amazon’s store on 34th Street, where protesters sang holiday-themed anti-Amazon songs. 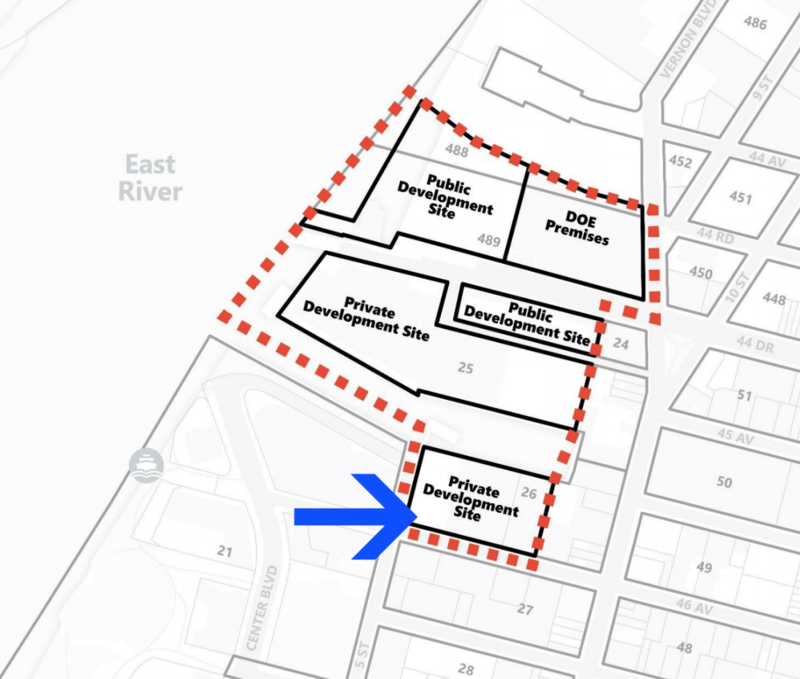 And on Monday night, protesters will gather at Court Square Park, which sits near the proposed HQ2 site and across from One Court Square, the building where Amazon will temporarily lease one million square feet of office space.